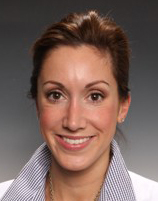 Dr. Kelly Kennedy, an Associate Professor-Clinical in the Division of Oral and Maxillofacial Surgery and Dental Anesthesiology, has been appointed as the Director of the Advanced Education Program in Oral and Maxillofacial Surgery (OMFS). In this role, she will oversee and manage the professional educational experiences of residents in the college's OMFS Advanced Education Program. Dr. Kennedy was appointed to this position by Dr. Peter Larsen, Chair of the Division of Oral and Maxillofacial Surgery and Dental Anesthesiology. She follows Dr. Gregory Ness, who stepped down after serving as the program director for several years. Commenting on the selection of Dr. Kennedy for this role, Dr. Larsen said, "Dr. Ness supported this promotion for Dr. Kennedy as part of our division's effort to identify the very best young faculty and to provide opportunities for them to grow and develop. Dr. Ness will continue in his role as an important teacher within our division." An alumna of the College of Dentistry, Dr. Kennedy is a Diplomate of the American Board of Oral and Maxillofacial Surgery, and she is a Fellow of the American College of Surgeons. She is a past president of the college's Faculty Council and she is the current President of the Ohio Society of Oral and Maxillofacial Surgeons.